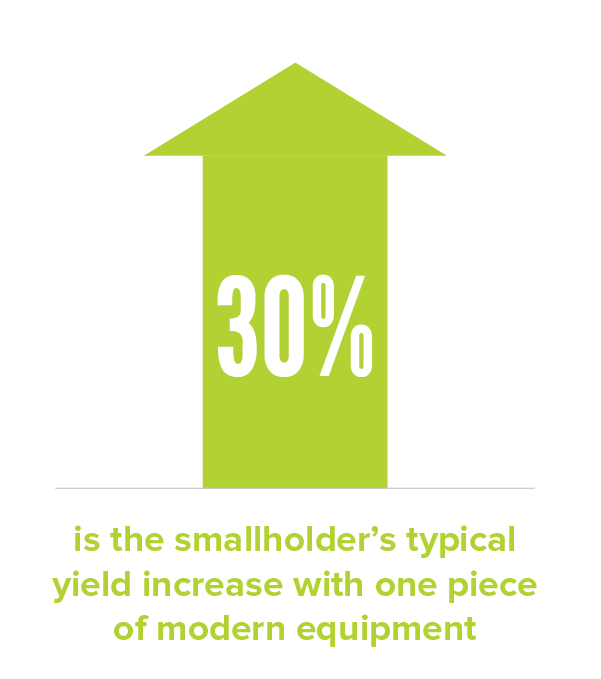 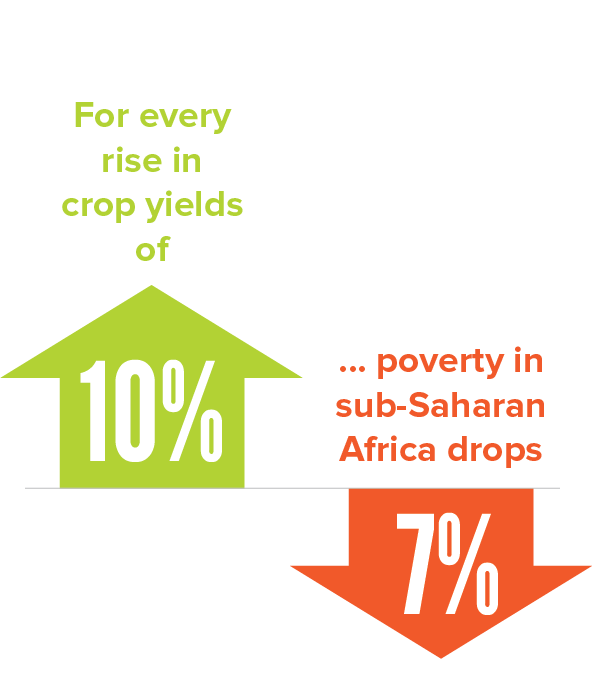 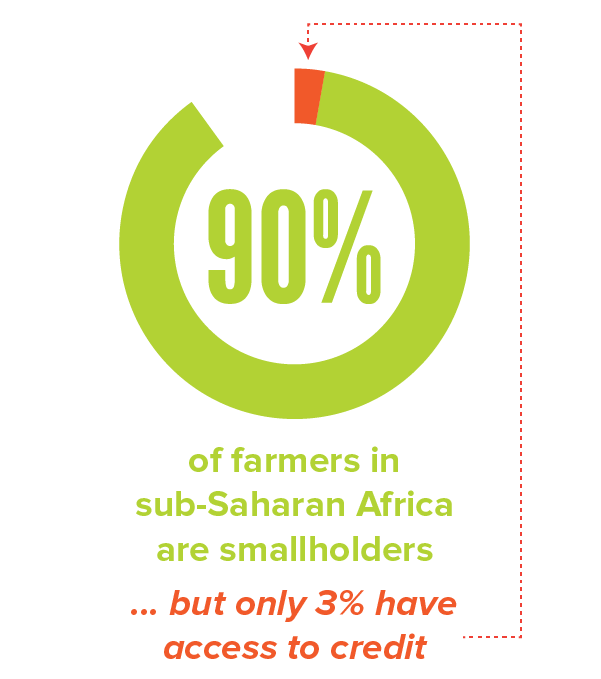 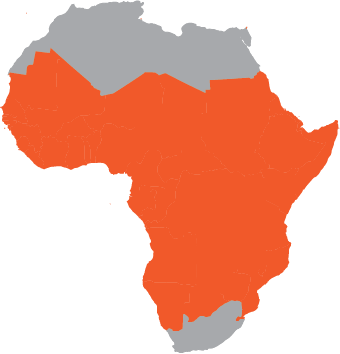 Leapfrog technology is readily available, but smallholders can’t get credit to buy it. 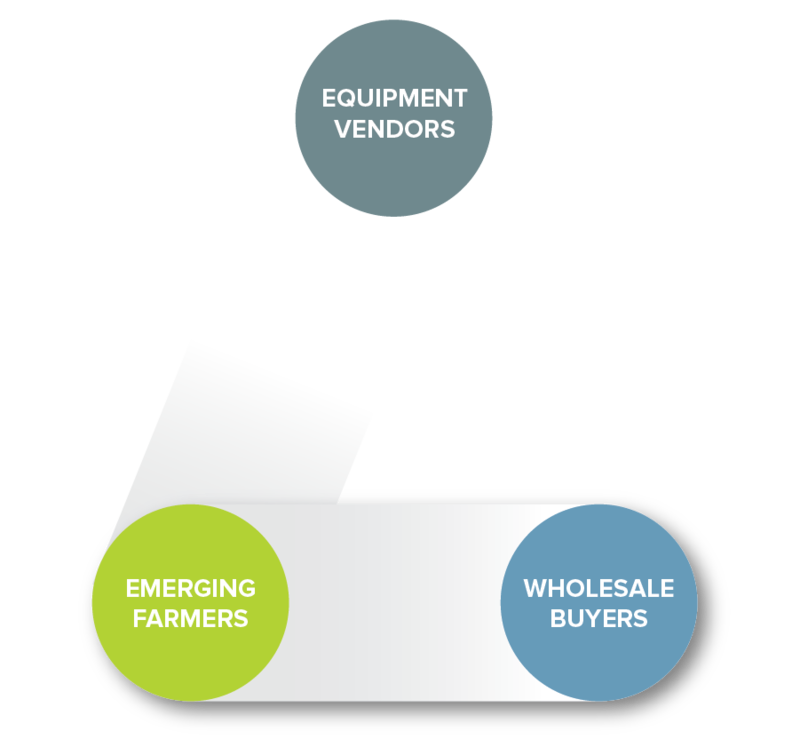 Farmers already have contracts with buyers, who purchase crops for retail and export. 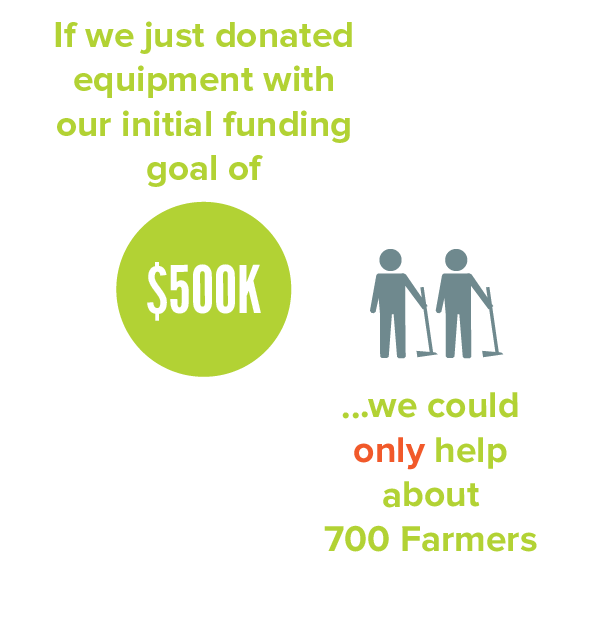 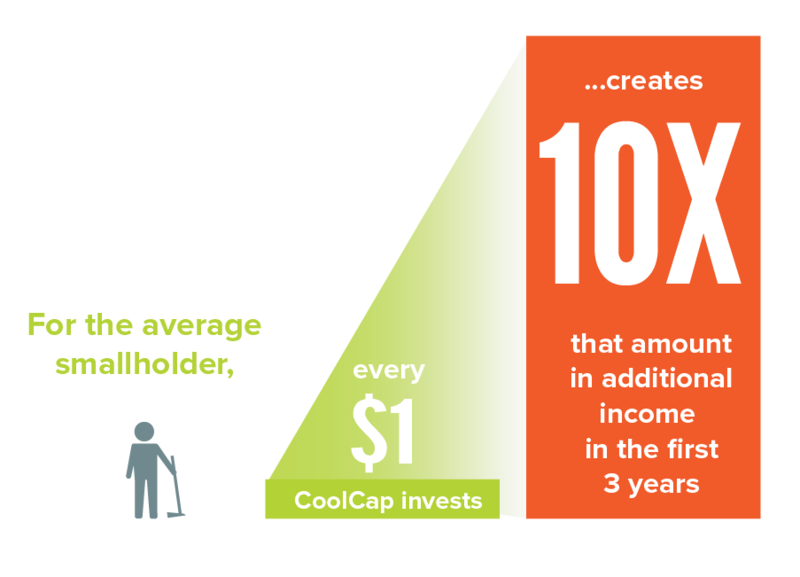 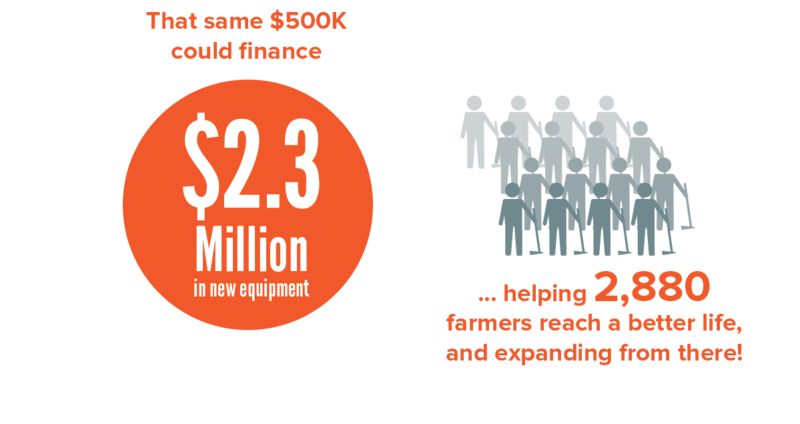 CoolCap (1) buys equipment from the vendors in bulk and (2) sells it to the farmers at 10% interest, repayable at harvest. 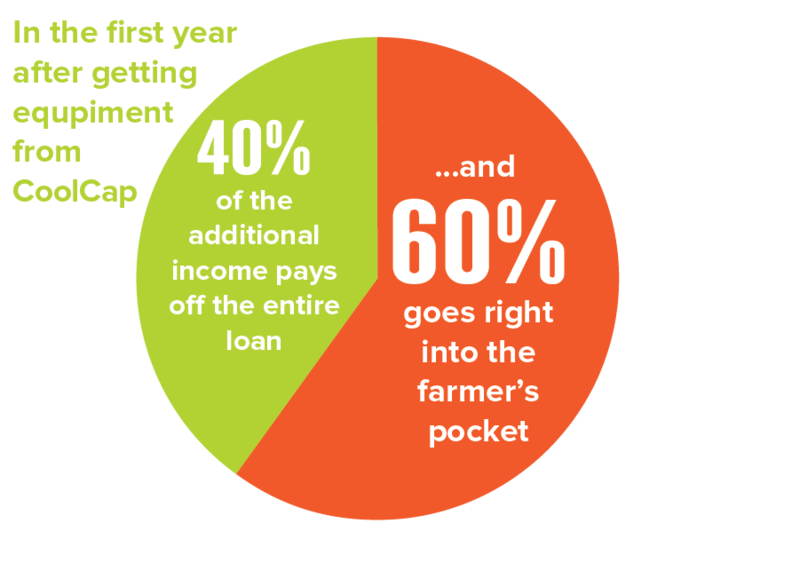 (3) Farmers deliver their harvest to their buyers (4) who deduct the farmers’ payment from a portion of harvest proceeds and remit to CoolCap. 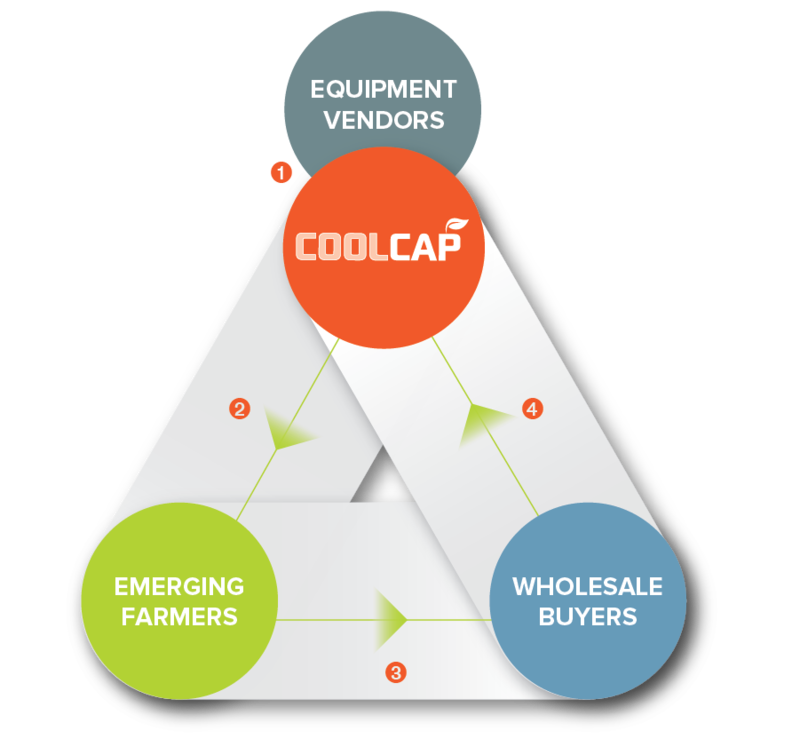 To keep the cycle going, vendors provide farmers after-sales parts and service and buyers continue to identify new emerging farmers for CoolCap.